Today Microsoft announced the worldwide extension of the availability of Windows XP Home for an emerging, new class of mobile personal computers commonly known as ultra-low-cost PCs, or ULCPCs. 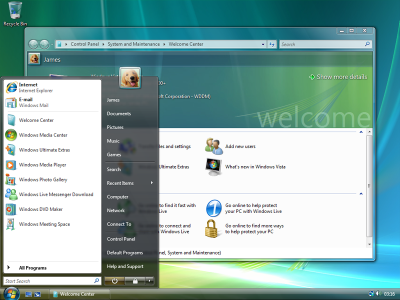 Windows XP Home for ULCPCs will be available until the later of June 30, 2010, or one year after general availability of the next version of Windows. This is not extension for normal XP or XP business version. This is for computer such as Asus EEE Pc. Running an Office productivity test suite on a preview version of Service Pack 3 for Windows XP, Devil Mountain discovered a 10 percent performance boost over the current version of Windows XP, the company reported on its blog. So Vista’s biggest competition isn’t Apple or Novell or Red Hat; it’s Microsoft itself, it’s XP. version of Dynamics by the end of 2008.